US President Donald Trump stressed that Russian President Vladimir Putin was supporting "a very bad man," and he believed such an alliance would be bad for Russia and the entire world. MOSCOW (Sputnik) — US President Donald Trump blamed the current situation in Syria on Moscow's support for country's President Bashar Assad, calling the Syrian leader "an animal," in an exclusive interview with Fox Business on Wednesday. "If Russia didn’t go in and back this animal [Assad], you wouldn’t have a problem right now," Trump said. He stressed that Russian President Vladimir Putin was supporting "a very bad man," and believed such an alliance would be bad for Russia and the entire world. "But when I see people using horrible, horrible chemical weapons … and see these beautiful kids that are dead in their father's arms, or you see kids gasping for life … when you see that, I immediately called General Mattis," Trump said. On April 4, the Syrian National Coalition of Revolutionary and Opposition Forces reported a suspected chemical weapon attack in Syria’s Idlib province. According to recent data provided by the World Health Organization (WHO), 84 people, including 27 children died in the suspected chemical attack. The West has quickly accused Assad government of using chemical weapons against Syrian people. Syrian Foreign Minister Walid Muallem denied the government’s involvement in the Idlib incident, saying it had never used chemical weapons on either civilians or terrorists operating in the country and will never do so. 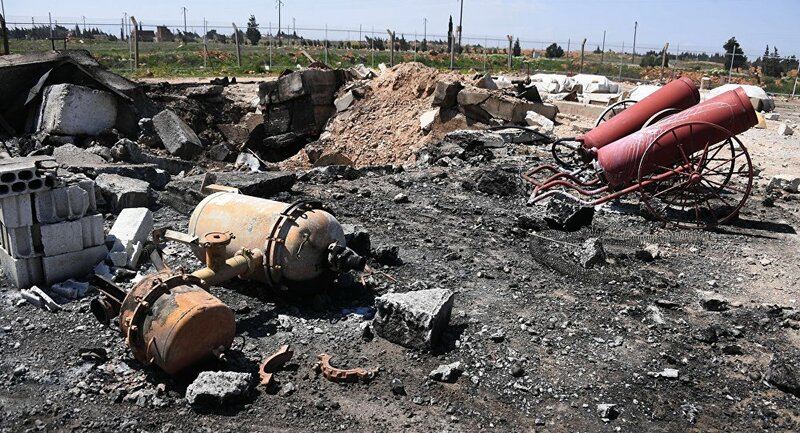 The Russian Defense Ministry said on April 5 that the airstrike near Khan Shaykhun by the Syrian air force hit a terrorist warehouse that stored chemical weapons slated for delivery to Iraq, and called on the UN Security Council to launch a proper investigation into the incident. The next day, Putin said that groundless accusations in the chemical weapons incident in Syria's Idlib were unacceptable before the investigation into the matter had been carried out. On April 6, the United States launched 59 Tomahawk cruise missiles at the military airfield in Ash Sha’irat in response to the alleged chemical weapon use in Syria's Idlib province. The chemical accident in Idlib and US strike on the Syrian airfield renewed calls among the Western countries to ouster Assad as a necessary precondition for the crisis settlement. On Monday, Kremlin spokesman Dmtiry Peskov criticized "the return to pseudo-attempts at settlement in the style of reciting mantras" calling for Assad's ouster as "unable to bring anyone to a political settlement in Syria."